Welcome to our weekly column, The State of the Vols, which will be published every Monday morning. We’ll use it as a tool to update you on team news and the latest recruiting info all in one convenient location. Consider this the final calm before the storm as the players are getting a little time to breath over the weekend and early this week before camp gets underway on Friday night. Like we mentioned last week, every team is generally quick to say it had a great summer, but there are some tangible things Tennessee can point to from its grueling summer under strength coach Dave Lawson to show improvement. For example, after having none last year, the Vols head into 2014 with 11 players now squatting 600+ pounds. There’s optimism from some around the program we’ve spoken to that, despite such a young roster, this is one of the stronger and faster rosters the Vols have had in the past few years. Remember, former Vol Ja’Wuan James admitted last year that skipping or giving underwhelming effort in workouts was part of the culture before Butch Jones arrived. The talented 32-man signing class has not only given Tennessee more size, speed and depth, it’s also helped up the level of competition all over the roster. It’s disrupted the status quo – by that we mean that returning starters can’t feel 100-percent safe about their job and primary backups from 2013 know they can’t just slide into open spots this year either in many cases. That competition was seen in the weight room, but really will be felt on the practice field come Friday. While most eyes will, rightfully, be on the newcomers, it’ll be interesting to see if any of the veterans will find a new level after being pushed all summer. Marlin Lane is one textbook example of a veteran who has stepped up his commitment as young talent has pushed him. It’ll be a massively important camp for veterans such as safety LaDarrell McNeil, kicker George Bullock, tight end Brendan Downs, defensive tackles Danny O’Brien and Trevarris Saulsberry and offensive tackle Jacob Gilliam. All have newcomers pushing them extremely hard and it’ll be interesting to see which veterans respond and possibly hold off a newcomer that many are penciling in to take their job. Butch Jones and selected players will speak to the media Thursday at noon with the first practice getting started Friday night at 7:25. The Vols will have one practice a day until the following Wednesday, when they get their first day off the field. Four two-a-day sessions are planned at this point – Aug. 9, 11, 13 and 16. 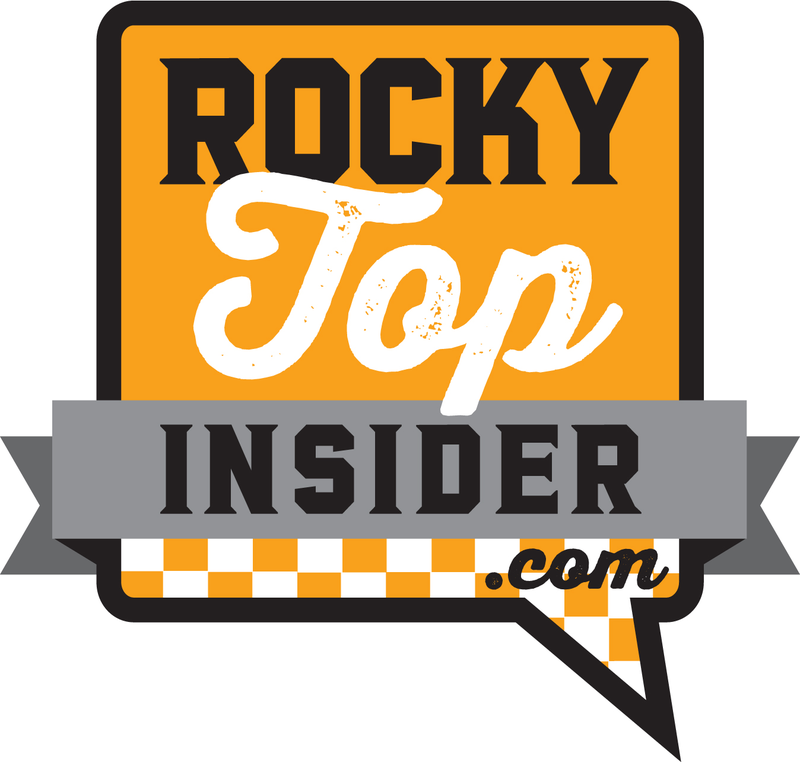 Check in with Rocky Top Insider regularly during camp – we’ll have full coverage with daily observations, articles, photography, video and a unique angle on scheme you won’t find anywhere else. We’ll be dropping exclusive information in our forum as well, so be sure you’re registered for that so you can engage and ask any questions as well. The Vols are coming off a fairly eventful week on the hoops front with the biggest story belonging to explosive Vol guard Detrick Mostella, who was finally cleared by the NCAA. Mostella, who will wear No. 15, can play immediately and has four years of eligibility remaining. A phenomenal athlete, Mostella should see a ton of minutes for Donnie Tyndall‘s squad this season. In other hoops news, the Vols reportedly added a walk-on point guard over the weekend in the form of 3-star point guard Braxton Bonds, the nephew of former MLB slugger Barry Bonds. Braxton signed a National Letter of Intent to play for Liberty University in November, but was recently granted a release according to Ben Frederickson of the Knoxville News Sentinel. Because Bonds signed to play with another school, he probably won’t be eligible to play this season, but Tennessee hasn’t sorted that out yet. If Liberty were to grant him a full release, he would be eligible this season. We’ll keep you updated on his status. Bonds, who played high school ball at C.P.A. in Nashville, Tennessee, is a true point guard who looks to distribute the ball before he looks for his shot. He had offers from LSU, Miami (OH), MTSU and Radford. Adding depth at point guard this season (or next) would certainly be a plus for Tyndall, but Bonds’ addition could have an even bigger effect on the recruiting trail. Bonds’ best friend, Braxton Blackwell, is a 4-star 2016 small forward prospect who played with him at C.P.A. The Vols are heavily pursuing Blackwell and adding Bonds to the team certainly doesn’t hurt their cause. On the team front, we got a look at all seven Vol newcomers this week and they were certainly a fun group to be around. Their off-the-court chemistry is much better than you’d expect considering the bulk of the team just arrived on campus within the last few months. They’re finishing up their final week of summer school and last week of offseason conditioning – two areas where they performed very well. Moving forward, adding mass to Derek Reese, Tariq Owens, Jabari McGhee and Willie Carmichael will be vital. Tennessee’s roster isn’t short on height, but it is lacking in the strength and weight departments. The coaching staff likes the talent they have, but they need time to get their young post players ready for SEC play. The Vols will struggle against any team with bruisers in the paint this season, so be prepared for that. On the bright side, Tariq Owens, a 6-10 freshman, has a ton of upside. Ideally, he’d sit this year and work on getting stronger, but that’s probably just not possible. He may look lost at times, but expect him to turn your head more than once with his raw ability. Owens is extremely slight at the moment – Tennessee lists him at 205 pounds, but he doesn’t look an ounce over 185. How quickly he can get stronger will determine how soon he becomes a force to be reckoned with in the paint. This Saturday, Donnie Tyndall and his fiancé, Nikki Young, will be getting married, but that didn’t stop Tyndall from spending last week on the road looking for future Vols. We’ll be rolling out some basketball recruiting coverage in the coming weeks, including breakdowns of UT’s top targets, so keep an eye out for that. In the meantime, join us in wishing Coach Tyndall and Ms. Young a happy wedding week. After last week’s barrage of commitments, this last week has been a pretty tame one on the recruiting trail as the coaches started finalizing plans and shifting their focus towards the open of fall camp on Friday. The Vols hosted a huge number of recruits for last weekend’s Orange Carpet Day and landed four commits on Saturday – two each from the 2015 class and 2016 class. The Vols also got great news early last week as 2014 JUCO linebacker Chris Weatherd was cleared by the NCAA and will be allowed to join the team in time for the start of fall camp. That gave Butch Jones and his staff a 100-percent success rate for the 2014 class, as they were able to get all 32 signees enrolled in time to start summer practice. Quite the contrast when you look at South Carolina’s 2014 class, which is still awaiting word on 8 of their 21 signees. This staff’s emphasis on recruiting the right kind of player and getting them committed early enough to help guide them down the correct academic path towards eligibility will be a selling point moving forward. Recruits – and especially their parents – will see this success and it will pay big dividends down the road. A lot of credit has to go to Scott Altizer and his staff, as well as the Admissions and Compliance offices for working hard to get all 32 signees enrolled. What those groups were able to accomplish from an eligibility standpoint in 2014 is one of the reasons the early commitments will continue to be a huge selling point for this staff. One prospect who will not be committing super early is Plantation, Florida Athlete Torrance Gibson. Gibson has set his announcement date for October 20th and currently has Ohio State as his leader after he visited Columbus this weekend. The Vols had been on the top for Gibson for a number of months, but Urban Meyer appears to have made quite the pitch. Tennessee certainly won’t give up in the race for Gibson and I would still expect him to make an official visit to Knoxville for a game before his announcement. Expect the ups and downs of this recruitment to continue beyond his announcement in October regardless of his selection. This is one that fans and coaches will sweat over until National Signing Day. One of the reasons that Gibson’s and countless others’ recruitments won’t be done until Signing Day is the work of committed players like Kahlil McKenzie, Andrew Butcher and Jack Jones. McKenzie has been very public in his recruitment of players like Gibson and Drew Richmond, Kyle Phillips, Rico McGraw, Cam Ordway, Quarte Sapp and Shy Tuttle. That type of peer recruitment is exactly what Jones and his staff want from their players. Given the aforementioned names, it should be pretty clear that the Vols are looking for mostly defensive players to close out the class with a few spots on offense held for players like Gibson, Richmond, and Van Jefferson. Keep an eye on Quarte Sapp in the coming weeks, as it seems like just a matter of time before he gives his pledge to the Vols. Also, the Vols continue to be in the front for Shy Tuttle, who is set to announce next month. Expect the coaching staff to start setting up official visits with recruits very soon, likely working towards having one huge weekend when the Vols host a beatable SEC opponent. An early look-ahead would likely have the Florida game as the odds-on-favorite to be the one. A big key to that weekend will be having as many committed players come in on the same weekend to help seal the deal with the non-Vols in attendance. Things will likely slow down somewhat over the next few weeks as the Vols open camp, but don’t be surprised if some 2015 and even some 2016 prospects make it to campus over the summer to check out a practice or two.